Are you in Redwood City and looking for a company that can provide equipment	rentals, sales, or repairs? Look no further than Redwood Rental! Whether	you are a homeowner who wants to start on a do-it-yourself project or	a contractor who needs heavy-duty construction equipment or tools, we	can help. Call our office today at (650) 368-9908 and schedule your free estimate! 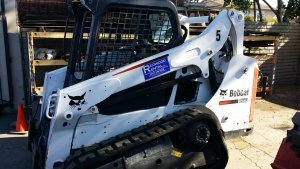 At Redwood Rental, we rent out a wide selection of equipment, such as Bobcat	equipment, forklifts, jacks / lifts, ladders / scaffolding, chain saws,	and much more. To make our services more convenient for our customers, we are	open on Saturdays, and we	deliver equipment Monday through Saturday. In addition to our rentals, you may also be able to benefit from our equipment	repair services. We can repair everything from small electrical tools	to hydraulic equipment (such as Bobcat equipment). Our small engine mechanic is an	AES Certified Mechanic, and our Bobcat / hydraulic systems mechanic has over 10 years of experience	working with Bobcat and hydraulic machinery. We also have a broad inventory	of both new and used equipment for sale. You can trust our professionals at Redwood Rental to find you the perfect	equipment or to provide you with the right equipment repairs for your	next project. You are always our top priority, as 100% customer satisfaction	is something that we strive for every day. Stop by our store today or	contact us now at (650) 368-9908 and learn more about the products and services we offer!